The North American run, initially scheduled to wrap June 26, will now wrap July 13 to accommodate rescheduled dates in Chicago, Columbus, Indianapolis, St. Louis, Milwaukee, Saint Paul, Denver and Salt Lake City that were initially scheduled for April 2019. The Omaha and Raleigh dates of the tour have been cancelled with refunds available at point of purchase. Please see new rescheduled dates bolded in itinerary below. The multiplatinum superstar also announced a Las Vegas date has been added to the tour on May 11 at T-Mobile Arena. American Express® Card Members can purchase tickets before the general public beginning Tuesday, Jan. 15 at 10 a.m. local time through Thursday, Jan. 17 at 10 p.m. local time. Tickets for the Las Vegas date will go on sale to the general public beginning Friday, Jan. 18 at 10 a.m. local time at Ticketmaster.com. All other previously announced shows are on sale now. Pop Solo Performance" for "God Is A Woman." 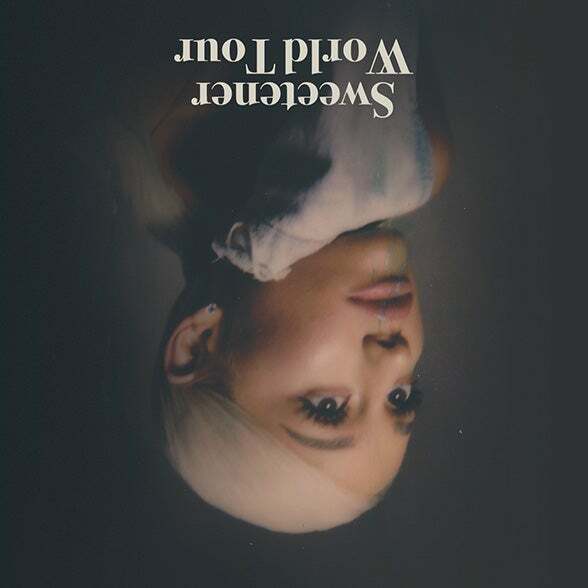 Simultaneously, her recent single "thank u, next" bowed at #1 on the Billboard Hot 100 and smashed the record for "Most Spotify Streams for a Song By A Female Artist in a Single Week." In November, Grande released the title track for her upcoming fifth album "thank u, next," whichracked up the most weekly streams ever for a song by a female artist while topping Billboard's Hot 100 chart for multiple weeks. The video holds the record for the biggest music video debut in YouTube history, earning 55.4 million views in its first 24 hours. It is also the fastest video to earn 100 million views, reaching that milestone just four days following its release. Thanks largely to the success of "thank u, next," Grande (Billboard's 2018 "Woman of the Year") was the Top Streamed female artist on Spotify in 2018.